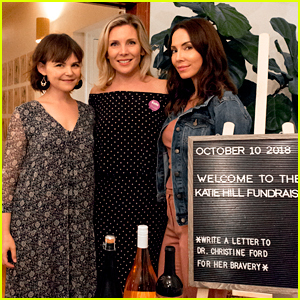 Ginnifer Goodwin poses for a photo with June Diane Raphael and Whitney Cummings while attending a fundraiser to support Katie Hill‘s bid for Congress on Wednesday (October 10) at the Jane Club in Los Angeles. Hill, the former CEO at PATH, spoke to the Hollywood crowd about her refusal to accept corporate PAC money, her commitment to healthcare access, and motivated everyone to rally before the mid-term elections. The event also received support from celebs like Seth Rogen, Adam Scott, Zoe Lister Jones, and more. The fundraiser was sponsored by Nocking Point Wines and Coolhaus. John Legend & Chrissy Teigen Support Brooklyn Decker at Finery App Launch Party! John Legend and Chrissy Teigen happily strike a pose together while attending the Finery App Launch Party held at the Microsoft Lounge on Wednesday (July 11) in Culver City, Calif. 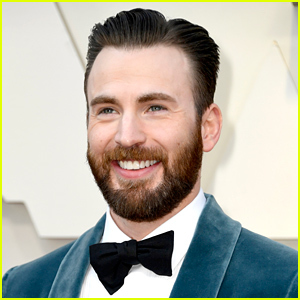 The happy couple were joined at the event by hostess Brooklyn Decker, as well as Emmy Rossum, Noureen DeWulf and her husband Ryan Miller, June Diane Raphael and Finery founder Whitney Casey. Finery lets you instantly capture your past purchases and organize them in a virtual closet – Find out more here! FYI: Emmy is wearing Dana Rebecca Designs earrings. Gillian Jacobs and Logan Browning keep it chic and sophisticated while hitting the red carpet at Netflix FYSEE’s Comediennes In Conversation held at Raleigh Studios on Tuesday (May 29) in Los Angeles. 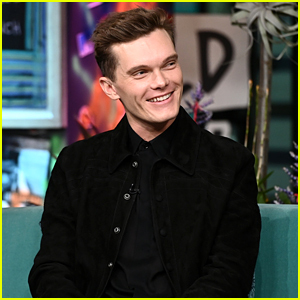 The 35-year-old Love star and Logan, 28, were joined at the event by Grace and Frankie‘s June Diane Raphael, One Day at a Time‘s Justina Machado and moderator of the panel, Jessica Radloff. The ladies discussed starring in their respective Netflix original comedies. The week before, Gillian hit the red carpet at the premiere of her new Netflix movie Ibiza with co-stars Vanessa Bayer and Phoebe Robinson. FYI: Gillian is wearing a Maje dress and Sophia Webster shoes. Logan is wearing an Altuzarra dress, Stuart Weitzman shoes, and Swarovski earrings. June is wearing an A.L.C. jacket and pants. John Cena is joined by fiancee Nikki Bella at the premiere of his new movie Blockers on Tuesday night (April 3) at the Regency Village Theatre in Westwood, Calif. 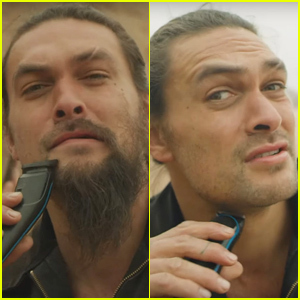 The 40-year-old actor/WWE pro was joined at the premiere by his co-star Leslie Mann along with her husband Judd Apatow and their daughters Maude, 20, and Iris, 15. Fellow co-stars stepping out for the premiere included Ike Barinholtz, Geraldine Viswanathan, Ramona Young, June Diane Rapheal along with husband Paul Scheer, and Gideon Adlon. Other stars at the premiere included Seth Rogen, John Cho, Alyson Stoner, and Ali Larter. Sofia Vergara Gets Support from Hubby Joe Manganiello at 'The Female Brain' Premiere! Sofia Vergara keeps close to her handsome hubby Joe Manganiello while hitting the red carpet at the premiere of her film The Female Brain held at ArcLight Hollywood on Thursday (February 1) in Hollywood, Calif. 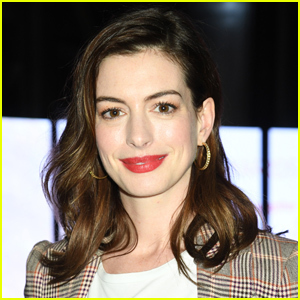 The 45-year-old actress and Joe, 41, were joined a the event by Ginnifer Goodwin and her husband Josh Dallas, Peter Gallagher, Beth Behrs, June Diane Raphael, Sasheer Zamata, as well as Sofia‘s co-stars Andrew Schulz, Toby Kebbell, Deon Cole, and writer-director Whitney Cummings. Sofia‘s 25-year-old son Manolo also stepped out to show his support at the premiere. The Female Brain also stars James Marsden, Beanie Feldstein, Cecily Strong, Ben Platt and Blake Griffin – Watch the trailer below! FYI: Sofia is wearing Pamella Roland. Whitney is wearing a Manning Cartel dress. Nick Kroll & 'Big Mouth' Cast Get Support From Aziz Ansari at Premiere - Watch Trailer! 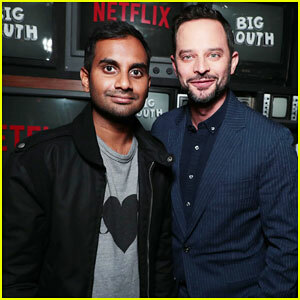 Nick Kroll is dapper in a navy suit as he poses alongside his pal Aziz Ansari at the premiere of his new Netflix show Big Mouth held at Break Room 86 on Wednesday (September 20) in Los Angeles. The comedians were joined at the event by Nick‘s co-stars Andrew Rannells, Jessi Klein, Jason Mantzoukas, June Diane Raphael, co-creator Andrew Goldberg, and screenwriter-directors Mark Levin and Jennifer Flackett. Big Mouth is a 10-episode, half-hour edgy adult animated comedy from real-life best friends Nick and Andrew (Family Guy) about the glorious nightmare that is teenaged puberty. John Mulaney lends his voice to the character of Andrew, while Nick (who serves as co-creator, executive producer) voices many of the characters. Maya Rudolph, Jordan Peele, Fred Armisen and Jenny Slate are among those who lend their voice to the series. Big Mouth premieres on September 29th exclusively on Netflix – Watch trailer below! FYI: Nick is wearing a Todd Snyder navy pinstripe seersucker suit.